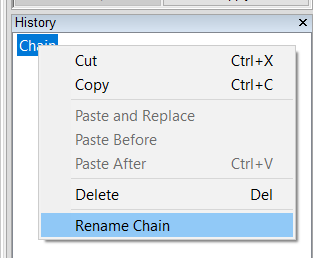 Here’s the result of renaming the processing chain to identify the source. Then, perform any necessary restoration/clarification steps. 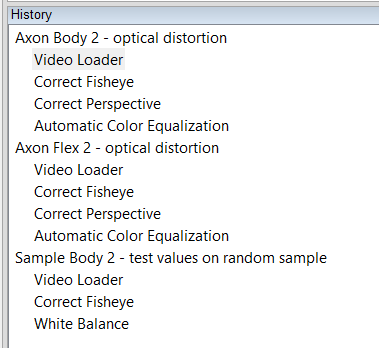 For cameras like the Axon Body 2, the restoration steps should be the same across all cameras in the specific model line. The optical correction for an Axon Body 2 should be the same for all Axon Body 2 cameras. Same goes for the Axon Flex 2, Axon Fleet in-car cameras, and so forth. 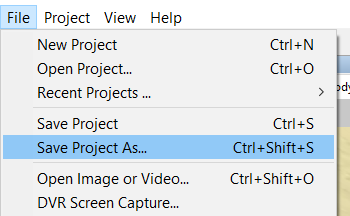 Next, save the project as the camera model’s name. You now have a processing template that you can duplicate and use later. To use the project as a template, simply open the project. 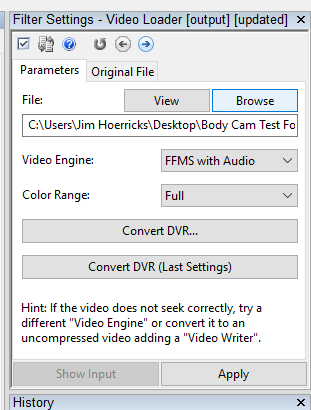 Next, change the file in the Video Loader by clicking on Browse and selecting the new file for your case. Process the file according to the request and save the project with a new name – as per your agency’s specs. For complex tasks, this template can save quite a bit of time. You can set up your templates by camera / DVR / BWC / in-car / interview room / etc. … When you’re done setting up the template, try to test the settings on a random sample (if available). For more information about our tools and training options, contact us today. 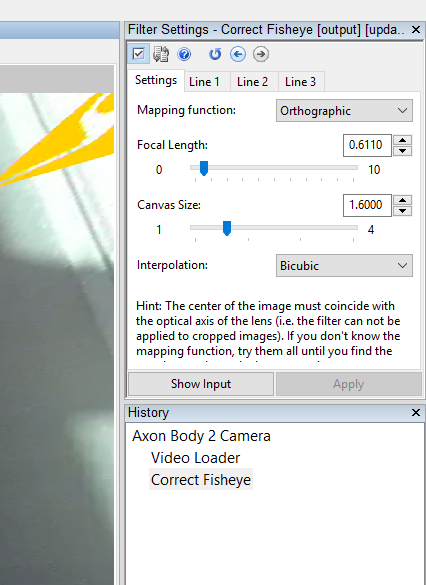 The Axon Forensic Suite (Axon Convert, Axon Five, and Axon Detect) is powered by Amped Software technologies.